Home › Acme Made › Acme Made Skinny Sleeve MacBook 12"
Skinny Sleeve for the MacBook uses a unique stretch-stitch seam to allow for ultra-thin fully padded protection and also includes a sewn-in reinforcement guard on both sides. 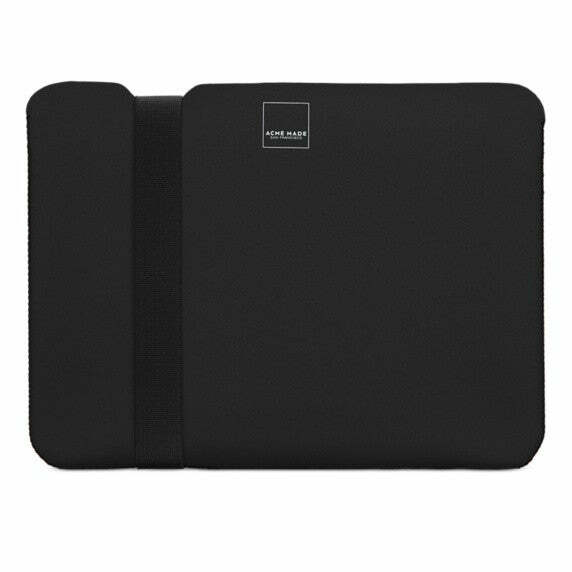 The stylish elastic band ensures that your MacBook stays securely inside the sleeve. Stylish elastic band keeps the MacBook Pro securely within the sleeve.